The Academy of Breastfeeding Medicine (ABM) invites you to attend the 6th ABM European Meeting on May 18-20, 2018 in Rotterdam, The Netherlands. ABM is a worldwide organization of physicians dedicated to the protection, promotion and support of breastfeeding and human lactation through education, research and advocacy. ABM’s mission is to unite members of various medical specialties through physician education, expansion of knowledge in breastfeeding and human lactation science, facilitation of optimal breastfeeding practices and encouragement of the exchange of information among organizations. In addition to the annual International Meetings in the USA, bi-annual meetings are organized in Europe. In 2018 ABM will present the 7th ABM European Meeting for physicians on breastfeeding topics, parallel to the 10th ELACTA at the same location in Rotterdam. Both CME points (physicians), CERPs (lactation consultants) and KRT points (dentists) have been awarded. Rotterdam, is the second city of the Netherlands and vibrant harbor. It is a long-time gate to the world. The conference will take place on a ship in this harbor. 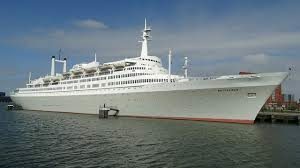 The SS Rotterdam used to be a ship of the Holland-America Line, which brought immigrants to the New World. Now it is a hotel and our conference location. From here you can visit the city or travel to other nearby cities like Amsterdam and The Hague.